I’m reading Vladimir Vukovic’s Art of Attack in Chess and I love this highly-instructive guide. I’m not through the entire thing, but it does something I haven’t seen yet. It tells you how to gain an initiative. 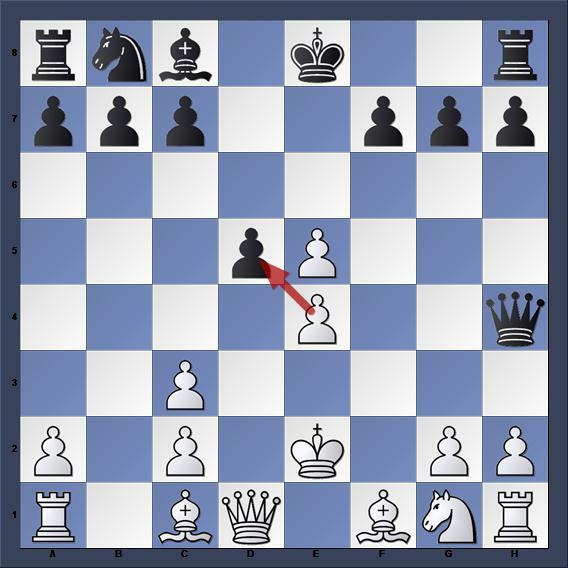 For instance, the author tells you how to make a king flee and how to attack along an open e-file; the next time you see a circumstance Vukovic has touched on you’re more likely to appreciate the extraordinary tactics present. I can already feel myself unlocking my inner berserk mode! Vukovic uses the following game to teach common mating-net errors. The text is from Chigorin-Caro (1898). Was the white king safe on his fourth rank? What does it take to really make a king mortally frightened? Black’s attack didn’t stall but he did leave the white king alone for a while. Why is this? How do you know when it’s appropriate to abandon the monarch for a time? I find it very instructive that black secured the squares around the king, particularly on white’s second rank, before he continued the chase. Can you see black’s motivation behind the quiet 22. Qg2? It’s not a hammer blow but it does chop off a large chunk of real estate. It really is very difficult, even with a local piece majority, to mate a king on the lam. The 25th move is the high-water mark for black. 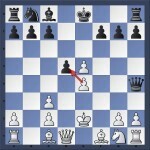 How could he have prevented white’s king from finding a haven in the corner? Is it possible that he pursued the king too aggressively? Is there a time when the king is in the greatest possible danger given the positional considerations at hand? White’s king was a giggling mongoose baiting black into pursuit. This entry was posted in Chess Middle Games, Chess Puzzles, Uncategorized by . Bookmark the permalink. I see you took my recommendation for the book. I told you it was good.